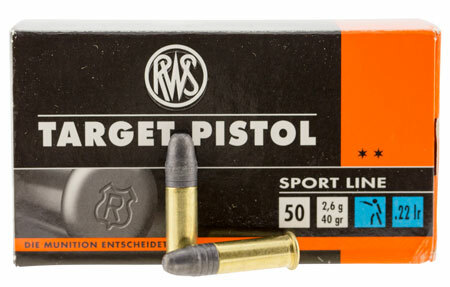 Walthers Target Pistol rimfire cartridge from RWS is very accurate and reliable. It also works perfectly fine in sensitive pistols and ensures a smooth training procedure. This smallcalibre ammunition from Walther is very good for training with high shooting frequencies.